Loon, formerly a Google X project and now an independent Alphabet company, reveals that it successfully transmitted data over a 1000 kilometers (621 miles) via a network of 7 balloons. This new milestone was achieved using a new custom antenna that stretched a 100km connection between two balloons ten times further across seven balloons. Why does this matter? 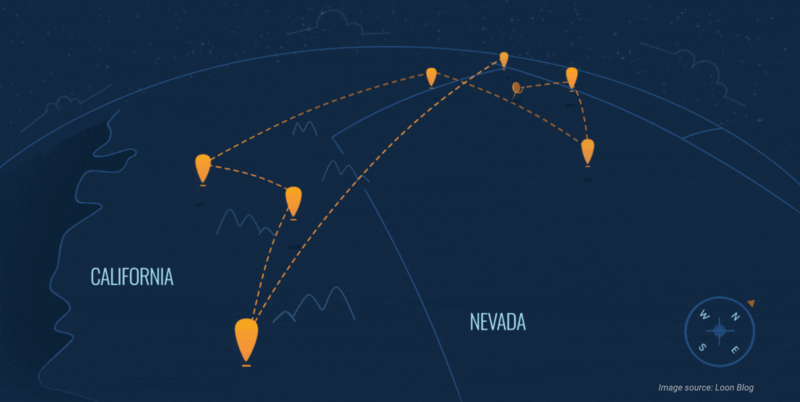 Salvatore Candido, Head of Engineering at Loon, explains: "Even with our balloons' expanded coverage area — which is 20 to 30 times greater than a traditional ground-based system — there are people who live outside the reach of one of our balloons operating adjacent to a backhaul connection on the ground. If we can extend our reach by passing that connection across a network of balloons, like a cosmic soccer team advancing the ball through the sky, we can cover far more people." Can I simply connect to loon or is there a login/registration process?